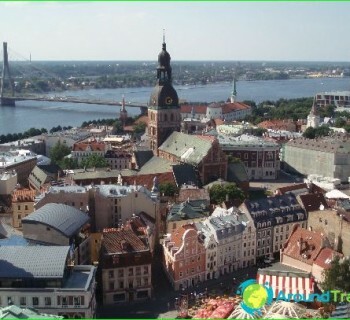 Beautiful of the Baltic Cities is Riga. She is always happy tourists, offering them a lot of interesting excursions and entertainments. Prices in Riga on various holidays, depending on the chosen hotel and travel. In Riga, there is a wide choice of hotels to suit all tastes. Economical option is considered normal for a hostel, a place where you can take off for a symbolic price - about 10 euros. The rooms are in a decent hotel cost a lot more expensive. In whatever hotel you were to get to the city center is easy, using any mode of transport. It is best to select the area to stay, taking into account their interests. If you choose a hotel in the Old Town, be aware that not every one has easy access and parking. But the hotel located far away from the Old Town, offering free parking. On the way from the center to the airport and Jurmala are frequent large cork. 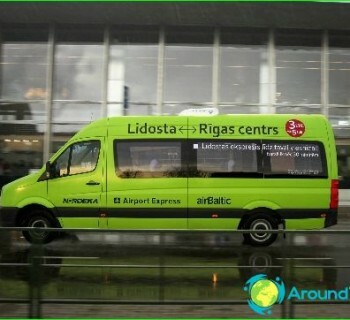 So many tourists it is more convenient to live in the part of Riga, which is closer to the airport. Rent an apartment in the city can be for a few days. For example, the average rent for two-bedroom apartment in the center is 200 lats per month. In other areas, you can find the same accommodation for 50 lats. This price does not include the rent. To visit the Latvian Ethnographic Museum,will have to pay 3.5 euros. Children's ticket costs 1.5 euros. In Aglona has a military museum with a number of interesting exhibits, the entrance to which costs 3.5 euros. Visit Riga water park for 4 hours is possible for 22 euros. Children's ticket costs 16 euros. Vacationers in Riga recommend a stroll through the old town, visit the church of St. Peter, the Dome Cathedral, Town History Museum. If gathered to come to Riga in the winter, you should let the season of sales. He continues with the last days of December to early March. Good products can be purchased at low prices. This range is much wider than in the Russian capital. Shopping can be performed on the Riga market. They decided to bring this city souvenirs and ornaments made of amber. They offer souvenir shops. The prices of such products is different depending on the weight and design. The city has a fast food restaurant LIDO,which are popular with tourists. Lunch at this establishment costs about 200 rubles. In Riga the work of national cuisine restaurants, sushi bars, pizzerias and McDonalds. The average cost of a hot meal in the middle-class restaurant costs 600 rubles. special café is open for vegetarians. For example, eat in Rāma café for 5 euros. Almost all the cafe serves good coffee. A cup of espresso will cost 2 euros.